BT has announced a black edition of its BT Home Hub all-in-one router. But it's not even got more features like the new Xbox 360 Elite . The limited edition only has one thing different - its colour. The new router is available to new BT Total Broadband subscribers now. BT offers speeds of up to 8Mbps on its network. The BT Home Hub is free to all new customers ordering Total Broadband Options 2 or 3 online, or is available for £30.00 for Option 1 if you sign up online. 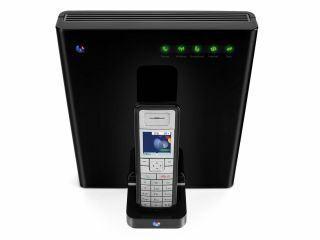 The matching digital cordless phone handset is included with Option 3, or is available to buy separately for £49.99 online.